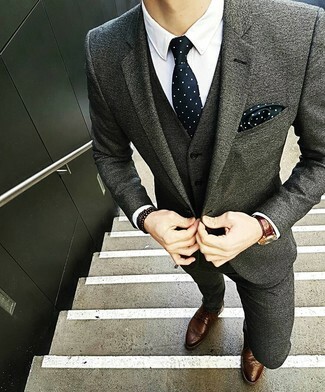 Consider wearing a grey wool suit and a white dress shirt for a sharp classy look. For something more on the daring side to finish off this getup, rock a pair of Marsèll worn out effect brogues. 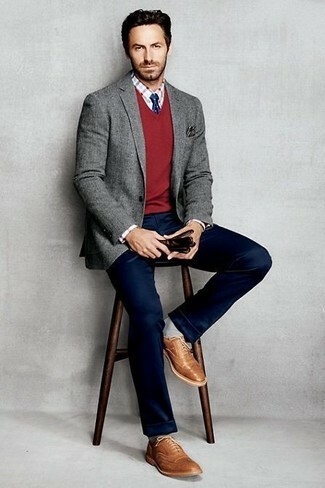 For a smart casual ensemble, consider wearing a grey wool blazer and navy chinos — these items fit perfectly well together. 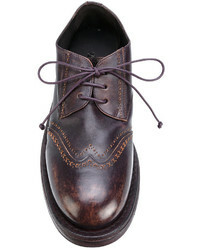 When it comes to footwear, this getup is complemented nicely with Marsèll worn out effect brogues from farfetch.com. Consider teaming a beige suit with a white dress shirt for a sharp classy look. 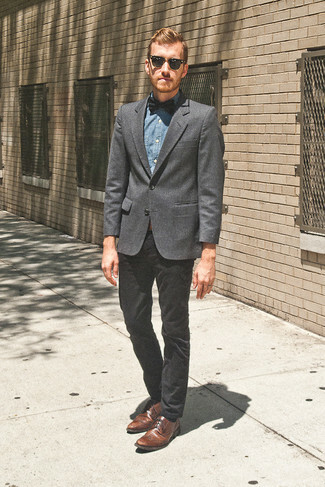 For something more on the daring side to round off this look, grab a pair of brown leather brogues. For a nothing less than incredibly stylish ensemble, pair a grey wool suit with a blue gingham long sleeve shirt. Rock a pair of Marsèll worn out effect brogues from farfetch.com to make the ensemble current. As you can see, getuping sharp doesn't take that much time. 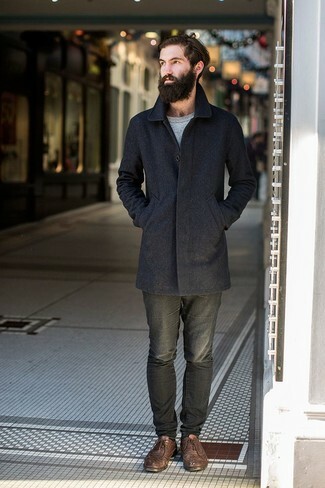 Just pair a navy overcoat with charcoal jeans and you'll look incredibly stylish. When it comes to footwear, this outfit is round off wonderfully with Marsèll worn out effect brogues from farfetch.com. If you're hunting for a casual yet stylish outfit, team a charcoal wool blazer with black skinny jeans. Both pieces are totally comfortable and will look great together. 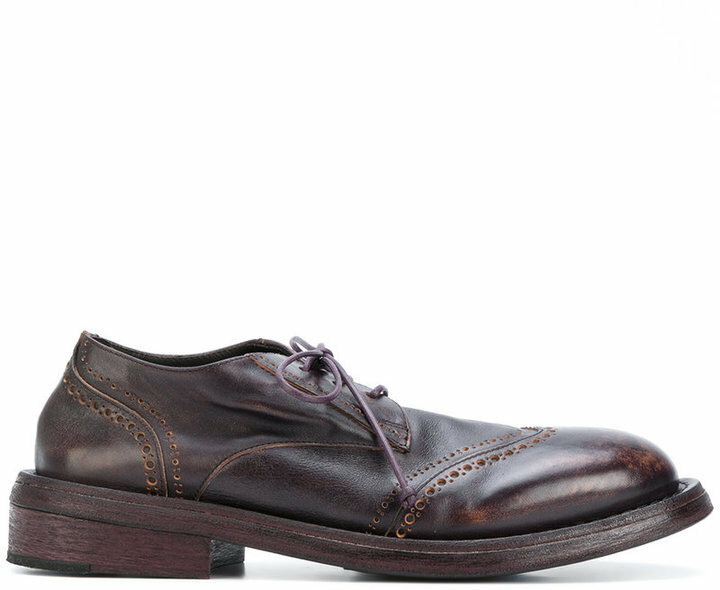 Wearing a pair of brown leather brogues is an easy way to add some flair to your outfit. 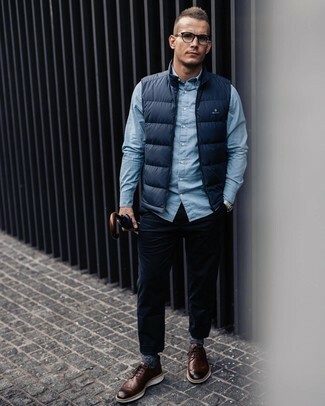 Make a navy gilet and navy corduroy jeans your outfit choice for a casual and trendy getup. Throw a pair of brown leather brogues into the mix for a sense of elegance. 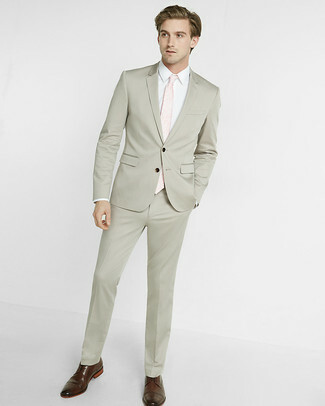 Consider teaming a beige blazer with light blue dress pants for a sharp, fashionable look. 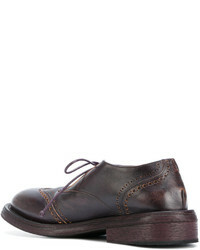 Opt for a pair of Marsèll worn out effect brogues from farfetch.com to have some fun with things. If you're looking for a casual yet on-trend getup, consider pairing a white crew-neck sweater with white shorts. Both pieces are totally comfortable and will look great together. 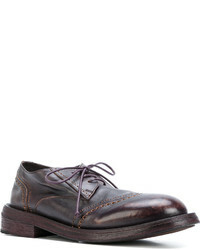 Bring instant glamour to your ensemble with Marsèll worn out effect brogues from farfetch.com.